Claudio Maccari and Paolo Pugliese are considered the leading specialists of the 19th century repertoire. 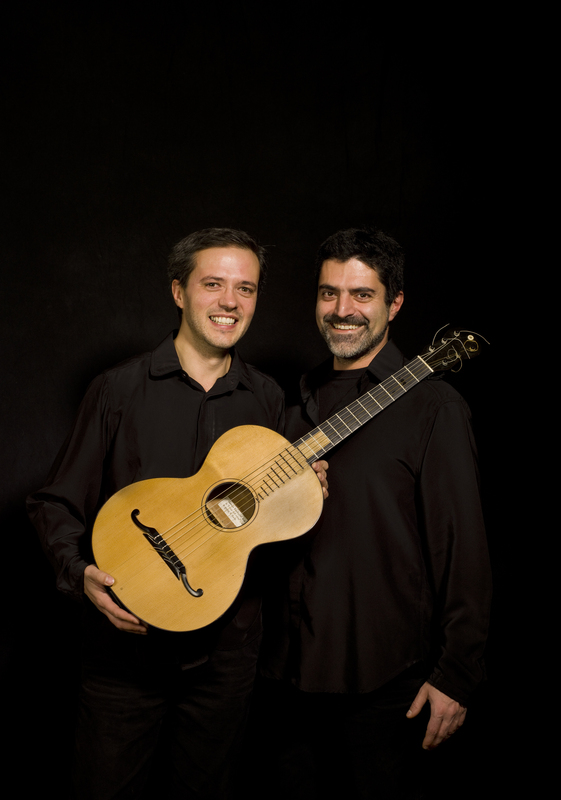 After making their New York debut at Carnegie Recital Hall in 1992 they have been invited to give concerts and masterclasses by famous Institutions and international Festivals such as the Royal Academy in London, the Yale University, the Sydney Guitar Society and the Parco della Musica in Rome. Their extensive discography includes the complete works of the most important composers of the era and they were the first artists to record the complete Concertos for guitar and orchestra by Mauro Giuliani on period instruments. They teach 19th century guitar at the Civica Scuola di Musica “C.Abbado” in Milan. Maccari and Pugliese play original guitars: Guadagnini, Fabricatore, Lacote, Panormo, Vinaccia and Garganese, with gut strings according to historical criteria.